If you want to be put on my waiting list, e-mail Brenda at creelkennel@aol.com let me know if you want a male or female, your name, address and phone. Willow and Falcon puppies were born on March 12, 2019, 4 female and 5 males. They just had their tails dock at age 3 days (3/14/2019). Puppies would go home at 8 weeks around May 7, 2019. She was breed to Falcon, you can see pictures below or more in photo gallery under Willow/Falcon. I do have a waiting list, if you would like to be put on my list, please email me at creelkennel@aol.com I will need your full name, address, and phone. My puppy’s sale for $2,500.00. I do require a $300 nonrefundable deposit if you back out, it will hold your place and will go towards the balance of $2,500.00 for the puppy. Their tails will be docked and they will have had one vaccination, worming, and get a vet health exam before they go home at 8 weeks. They will also go home with AKC registration form, copy of Sire/Dam pedigree and all copies of OFA certifications, shot record and a contract. You can come and visit and see my dogs, just let me know. Please call me 951-780-0363 or email if you have any questions. My next litter will be around June. 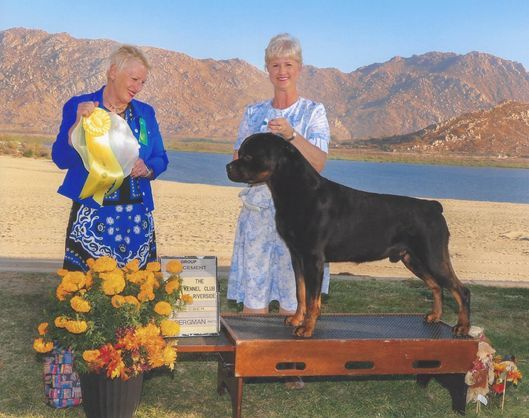 Sire - GR CH Lucene’s Hi Flyin Falcon V Marlo WS43389102- he is a Grand Champion, OFA Hip/Elbow/Heart/Eye and dental and DNA, he is AKC. 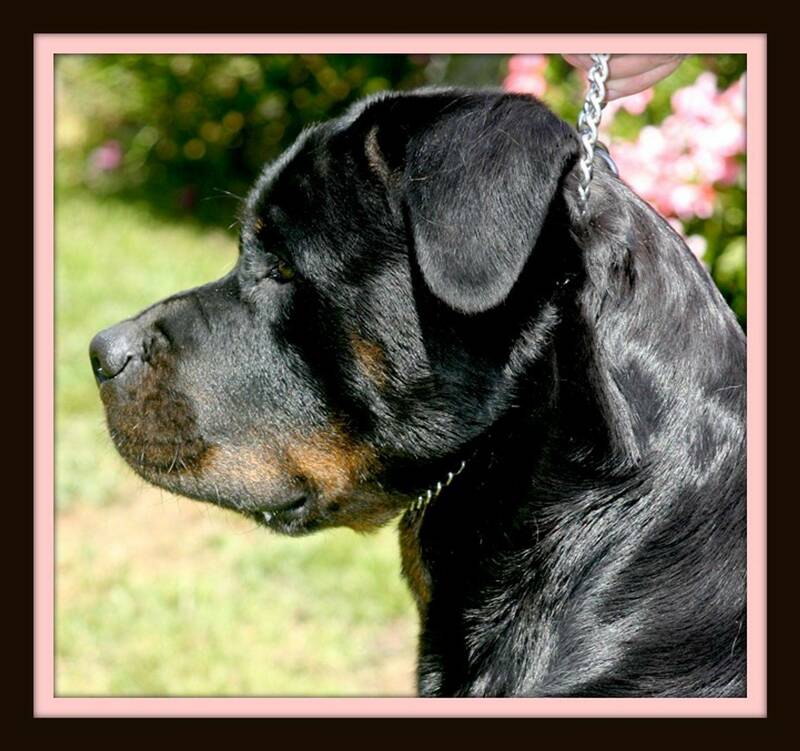 He is a Large Male 125lb, and beautiful with an excellent personality, he is 4 years old. Dam – Willow Vom Tess Creel – WS46741901 She is AKC, and OFA Hip/Elbow/Heart/Eye. She is 4 years old and a large female 100 lb. She has an excellent personality and is a beautiful female.